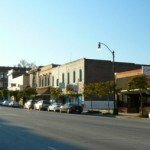 SCIWAY explores a different South Carolina town each month, and in our travels we meet plenty of wonderful people. 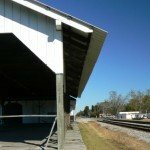 Many places stand out to us for the kindness we've encountered there, but perhaps none so much as Kingstree. 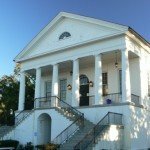 Our first endeavor upon arriving at the historic train depot was to stop by the Williamsburg HomeTown Chamber – located in the same building as the station, it was literally just "a hop, skip, and a jump away." There we met director Leslee Spivey, whom we had spoken with during the planning of our trip. Leslee gave us a quick lay of the land and armed us with all the advice we'd need for a successful adventure. Her stack of maps and pamphlets didn't hurt either, and before we knew it, we were on our way. 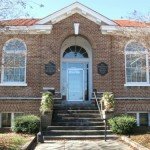 Next up was the Williamsburgh County Museum, located in Kingstree's old Carnegie Library. Built in 1917, the building features elegant wood floors, tall ceilings, and arched windows that flood the large, single room with light. 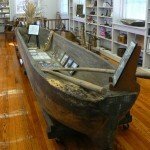 Filled with local antiques and artifacts, its pièce de résistance is a colossal 120-year-old canoe carved out of a single cypress tree – the oars alone were nearly too heavy to lift! 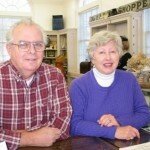 The museum also houses vintage photographs and newspaper clippings dating back to 1897. We piled into Bruce's pickup for our own personal tour of Thorntree Plantation. 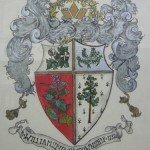 Located just outside the main downtown area, Thorntree lies well within the city limits and was moved there from the surrounding countryside for just that reason. At its new location, the historic structure receives fire and police protection, which will help ensure its survival for years to come. 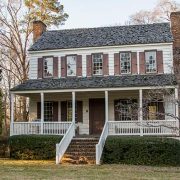 Dating back to 1749, the house served as an encampment for General Tarleton and his British Dragoons during the Revolutionary War. Today, it has been lovingly restored and is also owned by the Williamsburgh Historical Society. Well, by this juncture, your diligent, devoted, not to mention dedicated SCIWAY detectives were getting pretty darn hungry! 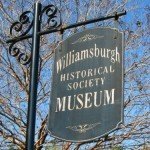 Our empty tummies brought us right back to where we started – the Williamsburg HomeTown Chamber – where Leslee had prepared us our very own home-cooked meal! You see, when we called Leslee earlier in the week and explained that we would have some vegetarians in our midst, she quickly deduced that Brown's Bar-B-Que (renowned though it is) simply would not do. Her solution? Fresh yogurt, tomato sandwiches, and – most welcome of all on a cold winter's day – hot cream of broccoli soup! Sorry, Brown's ... this was one meal that couldn't be beat! Sitting at the table in the Chamber conference room, we noticed that one of the pictures on the wall looked awfully familiar. Upon closer inspection, we realized that it was a print version of one of the photographs submitted to our South Carolina Picture Project. After sharing our excitement, Leslee picked up the phone to make a quick call to Michaele Duke, who in addition to being an artist is also a reporter for The Kingstree News. Michaele ran down to conduct a quick interview with us while we finished our lunch. 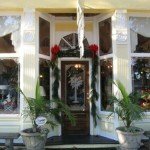 She then took us for a whirlwind tour of the newspaper office, introducing her colleagues before snapping shots of us walking past the storefronts of Main Street. 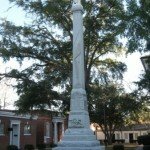 After taking in the fresh air and scenic surroundings, we meandered through Kingstree's many historic neighborhoods ... cruised over to the Robert Mills Courthouse ... caught sight of the only Confederate monument in the South to sport a Yankee soldier ... then ambled down Main Street again, this time stopping in at Donna's House, a first-class gift shop named for proprietor Donna Snyder. Donna – we were informed by nearly everyone we met – was a "must meet," and they were right, of course. She treated us to good conversation and lots of laughter. Darkness was dawning and our day came to a close. We made a last stop at Hardee's, which we'd heard from multiple sources served the best coffee in town, then headed back to the depot. The southbound train rolled in and we climbed aboard, waving goodbye to what really must be South Carolina's kindest town.